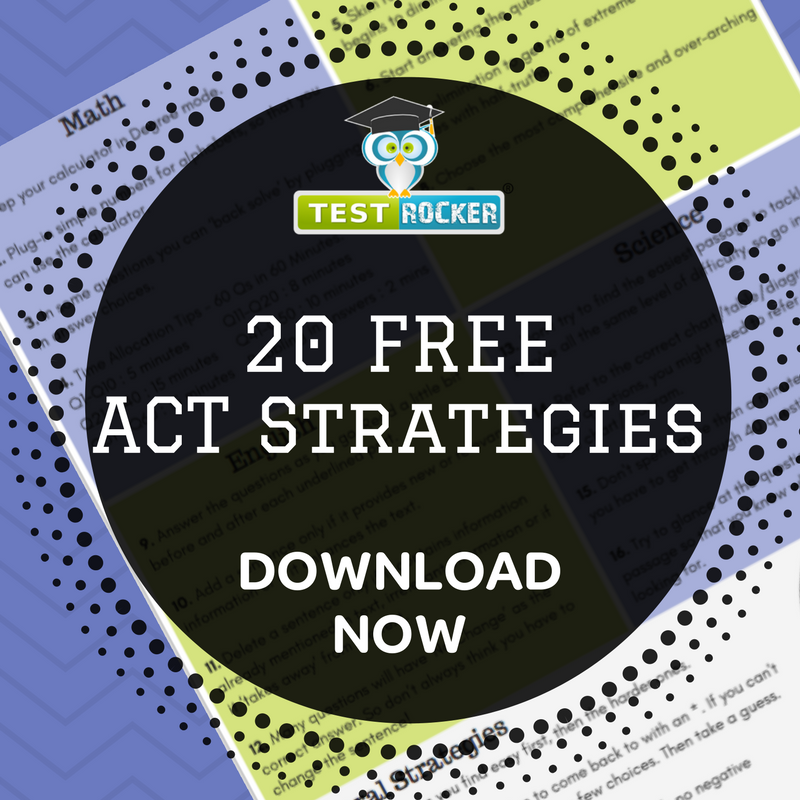 This free ACT strategies guide reveals the best ways to rock the test. Math, English, Reading, Science Sections, and General test strategies. To download the strategies, Please fill out the short form below. This free ACT strategies guide has information regarding all sections of the test, as well as general test taking tips. These strategies are keys to unlocking your best scores. What settings and modes to keep your calculator in. How to narrow down your answers. How many minutes should you spend on each set of questions? For many students, the reading section is the most daunting section because there is a lot of content to get through in a short amount of time. These reading tips will help you do well on the ACT reading section. How to strategically read the passage. How to answer the questions quicker after reading the passages. The writing section is tough, but it can be the easiest section to improve your reading & writing score. While these tips are especially important for international students who have English as a second or third language, all students can benefit from these tips. When should you add a sentence? When should you delete a sentence? Is "No Change" ever the correct answer? These strategies are basic test taking strategies to keep in mind during the entire test, and they are important. So be sure to follow these strategies too. Dos and Don'ts for taking the ACT. Scroll up and fill out the form to access the 20 ACT Strategies guide.